We are completely focused and obsessed with the latest designs and trends in the furniture industry. 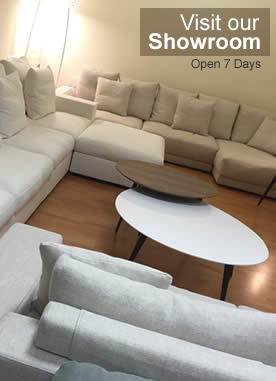 With modern styles of 3 seater or 2 seater sofas to a vast array of corner sofas and more modular sofa configurations and options I think you can find anywhere -whats not to like. 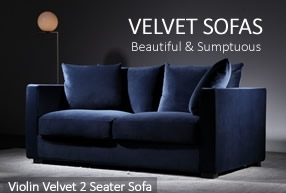 Our model is all about quality and value so we have sought out the most high quality sofa manufacturers we can find after scoring literallly thousands of suppliers. Many of our suppliers are selling thier goods to established players throughout the world who are passing off the goods for far higher prices than we are. Visit us or request samples to trul appreciate the fantastic quality we are offering. Dont miss out because you think its all the same as we do things differently ! Our goods cost less not because they are lower in cost, but because we have cut out all the middlemen and wastage in the traditional sales process. The vast majority of the end cost of an item is not in fact the cost of the goods, but other costs associated with purchasing, transportation, warehousing and retailer margins. 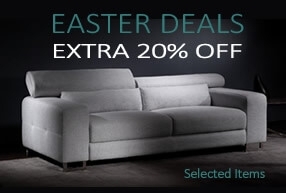 Delux Deco has almost no inventory, no stock wastage, no unnecessary shipping costs and no intermediary costs. We sell online putting our customers directly in contact with manufacturers' selection of product, thereby removing all the non value added costs. 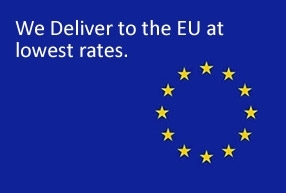 The result is genuine savings of up to 60%. Visit us or request samples to appreciate the quality and value we are offering. 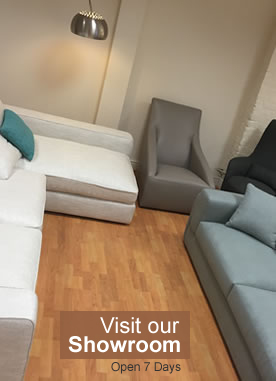 Our model allows us to offer our customers infinite selections of products and mass customisation options in terms of products fabrics and finishes. Precisely because we DON't have to physically hold the stock, we are free to offer a far larger selection of products at reduiced prices. We do our best to make our website easy to navigate and most importantly show large product imagery so that in the absence of seeing the item in person, you are able to make the best informed decision possible. We also display all information possible about the manufacturing methods, materials used and fabric types, if applicable. We are completely transparent with all the information and we only select factories with the best products available. Every aspect of your order is viewable online including its progress from order to production, shipment and finally delivery to you. This is updated automatically by Delux Deco and our suppliers to provide you with details of the whole process as it unfolds over the order lifespan. Because we mostly order on demand, you’re planning and patience is rewarded with fantastic quality goods made to the highest specifications at hugely reduced costs. As with any offer there is a small drawback of having to wait 2-15 weeks which is not without substantial rewards, up to 60% OFF. Please check the delivery times indicated on the Product description tab below the product page for the relevant delivery time. Sometimes you get it wrong or sometimes it's not what you expect, that's why we offer a free 7 days returns policy and the ablity to retrun goods for up to 14 days. We hope you will be delighted with your purchase, but if you wish to return the item, we aim to make it as quick and convenient as possible. If for any reason you are dissatisfied, you may return the item as long as the item is in exactly the same condition as when purchased. Cancellations after the 7 days period are at the buyers expense. For more details, see our Term & Conditions . We offer free fabric samples and some leather samples sets require a deposit as we send out books of all the leather colours. This is to help colour match or test out the quality of our fabrics. Please see the samples section of our website for available samples. If something is not clear, if something is not obvious then we haven't done our job as well as it can be done. Please email us on support@deluxdeco.co.uk or call us for any advice or help you may need 01753 858885. We aim to help you make the right decision or not at all.